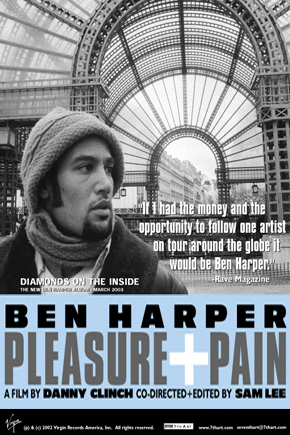 "Pleasure & Pain" is an intriguing and in-depth look at the life that is lived by contemporary roots rock icon Ben Harper. This documentary offers a rare glimpse into Ben's travels, performances, songwriting, religion, and life in general. Along with a rare behind-the-scenes perspective of the lives that these enigmatic musicians live, it incorporates concert footage, backstage clips, and what goes into producing Ben Harper's performances. Not just another self-indulgent music documentary, "Pleasure & Pain" lives up to its name by showing the imperfect yet true humanity behind the performer on a pedestal. Danny Clinch is one of the premiere photographers on the popular music scene. He has defined a highly distinctive documentary style that combines raw immediacy and elegance of composition. While all photographs by definition capture a moment, Clinch's work communicates the restlessness that is so much a part of the world of music. Despite their stillness and rough-hewn beauty, his pictures are almost eerily informed by the motion that preceded their creation and that, it sometimes seems, will instantly resume the moment the viewer turns away. They are not so much energy made visible, as some paintings have been described, but evocations of the energy rippling under the surface of momentary tranquility, a kind of storm within the calm. That tension lends his photographs a complex emotional texture that makes them both riveting and rewarding every time you encounter them. 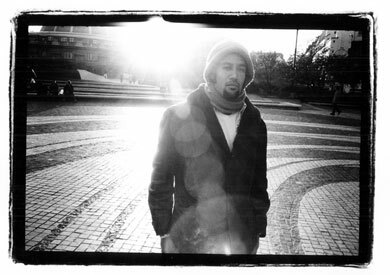 Clinch began transferring his talents to documentary filmmaking with BEN HARPER: PLEASURE + PAIN, a beautifully shot, critically-praised look at Ben Harper while on tour. Since PLEASURE + PAIN, Danny Clinch has captured some of popular music's best musicians in much the same way his still photography does. With documentaries on Pearl Jam, Michael Stipe, Nickel Creek, Los Lonely Boys, John Mayer, Jay-Z, and many others.